The MAJEXTAND Laptop Stand Review. UPDATE March-2018: This laptop stand has officially been released and you can buy/check price/check product on their official website here. 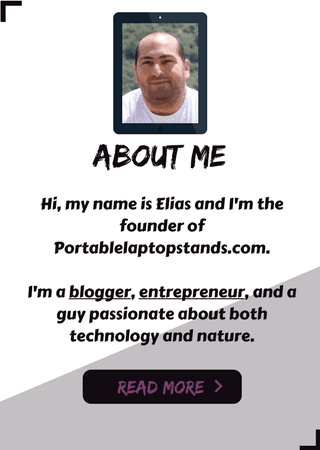 This review discusses the MAJEXTAND laptop stand, an ultra thin, lightweight, portable stand by ONED company. ONED is a company that develops and manufactures all sorts of products. They help other brands and companies build, design, and manufacture new and original products, which is a common practice among high-end companies which allows to save a lot of time, space, and expenses. Review or check price/buy this stand from the official product site here. I had the privilege of talking with the founder of ONED company, Jerry Kuo, via a series of emails where we discussed various aspects and topics around the MAJEXTAND. Jerry Kuo is an Architect / Industrial designer and the founder of ONED Co., Ltd. He has over 20 years of experience inventing, developing and manufacturing products. He holds a number of patents for his designs of Mac peripherals, PC peripherals, bicycle accessories, stationary products and industrial manufacturing components. 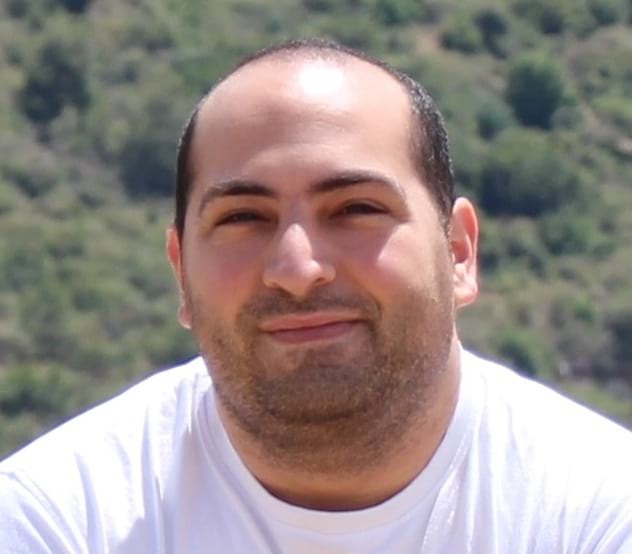 He has designed and supervised the manufacturing of many products for top global brands around the world. You can find more information about ONED company on their official website here. You can check the facebook page of the MAJEXTAND here. As I mentioned earlier, MAJEXTAND is possibly the lightest and most portable laptop stand in the world today. Which reinforces my first claim about it: Insanely portable. As I said, extremely lightweight. With this lightness, you can’t even feel it there. 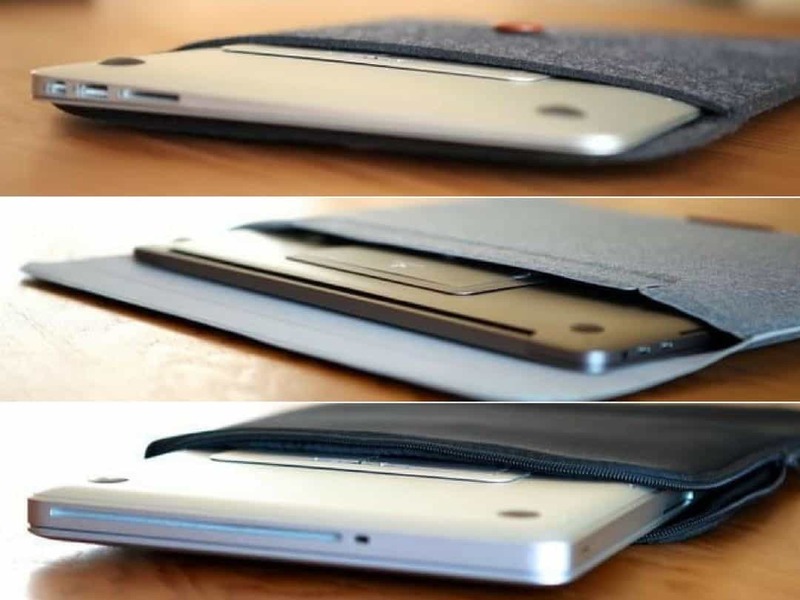 Which is a big thing considering the nature of the product: a portable device for your portable laptop. It’s made mainly of Zinc Alloy and Stainless Steel, both are widely used material for building sturdy and solid equipment, as opposed to plastic and wood. Adjustable height is the bread and butter of these products. The main we reason we go out and get a stand extension for our beloved laptops, is to convert it into a more ergonomic workstation to maintain our health while working long periods of time. 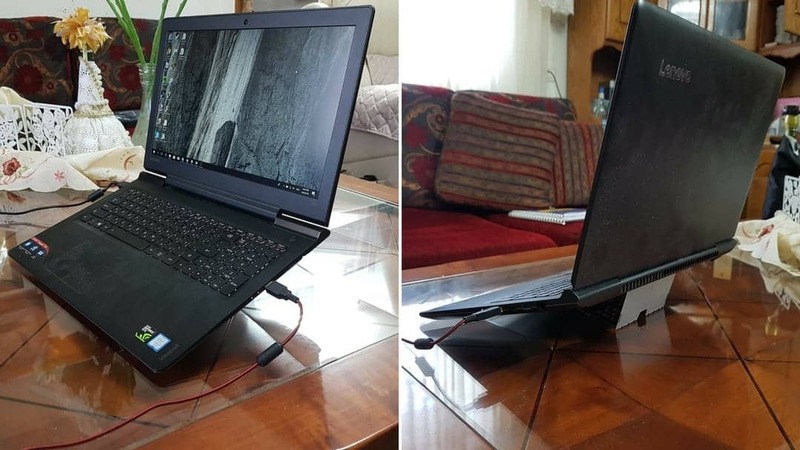 On most tables and workstations, that is enough to raise the laptop’s display to a comfortable level for your eyes, neck, and back. In terms of durability and sturdiness, I gotta admit, at first, I had my fair share of doubts about this stand. I mean it looked so small, tiny, and felt weak. I was hesitant to put my laptop on it. But eventually I did, and boy was I surprised. I applied on it a considerable force downward to test how truly stable and sturdy it is, it didn’t even budge. Of course, the level of balance changes with the height selected: the higher, the less balanced and stable it will be, but only a little. This is true for most products in this category because the way they’re physically built, with all the considerations of space saving and portability in mind, constructs that it acts that way. 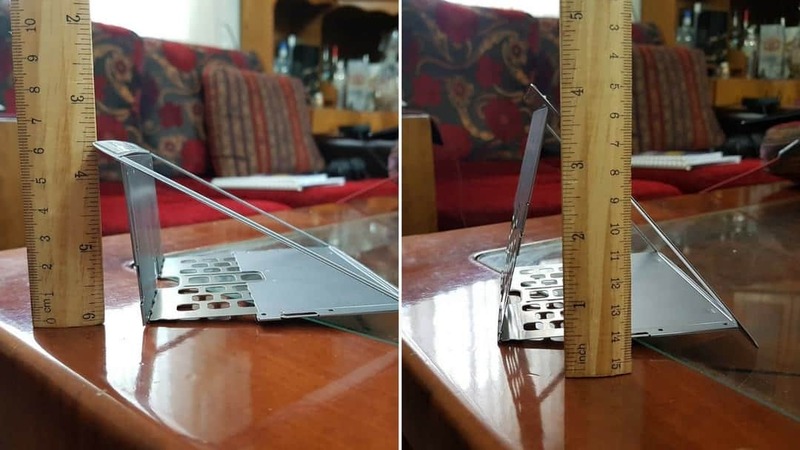 It only becomes a problem when the stand becomes too wobbly and weak to withstand minimum force at any of its intended arrangements. Granted, I only tried it for a month or so. But during that time I didn’t feel any problems or that my laptop is at risk at all. Will keep this review updated in the future should anything changes. You’re right to wonder if this stand is compatible with your device before buying. 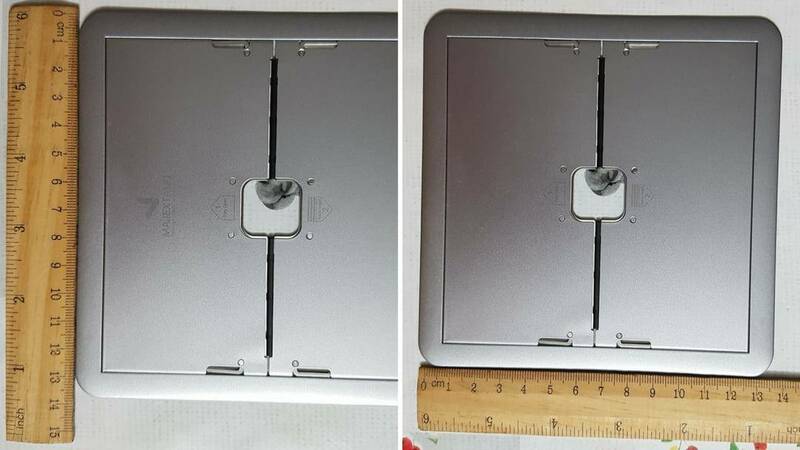 The manufacturer claims that the MAJEXTAND is compatible with MacBooks/laptops with a screen size smaller than 18″, and have an intact, seamless bottom case (check the installation section down below). 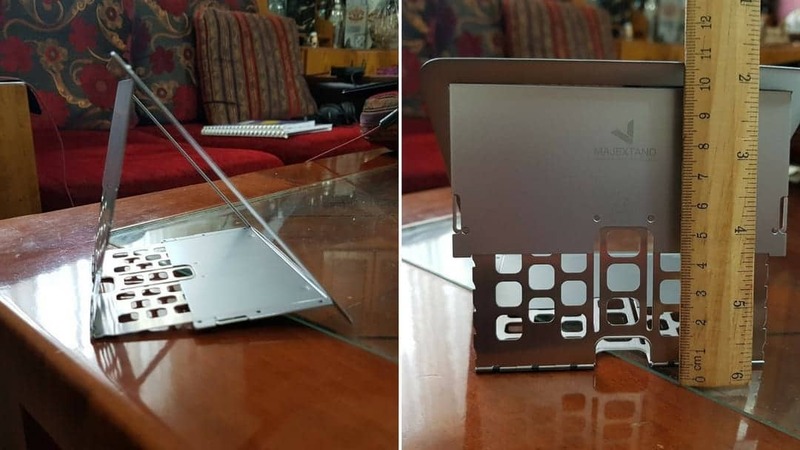 So if you have one of those bigger devices, this stand won’t be a perfect fit for you. With the dimensions and details shared above, it’s pretty obvious that one of the strongest features or benefits of this stand is its incredible portability. With an amazingly tiny yet durable design, weight of ~136grams, and ~1 second installation/collapsing time, you can be sure to easily travel with it everywhere without the hassle of having to deal with setting up another device in your portable workstation. 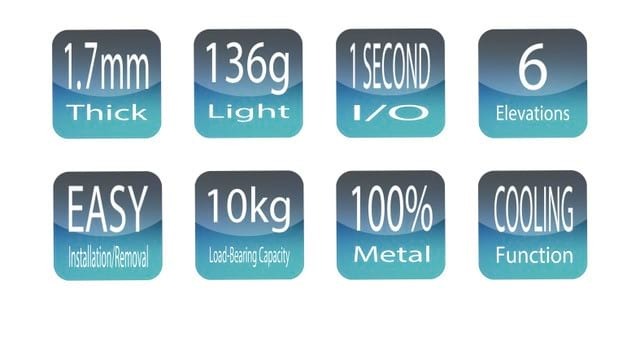 So we know its dimensions, size, weight. We know that it’s very lightweight. And durable enough to hold most laptops out there securely. What else can we say about the MAJEXTAND? The assembly and installation of the stand weren’t quite hassle-free. Not because of a design problem, but because of a lack of clear instructions about it. I contacted Jerry about the matter and told him about this issue, and he assured to me that they’re working on creating a simple, step-by-step instruction guide on how to assemble, install, and use this stand so you wouldn’t face the same trouble I had when I first started using it. When the instructions are easy and clear, using this STAND should become a breeze and offer no hassle to anyone. When the last version of the instructions guide or user manual is released, I’ll attach a link to download it here. But in all cases, should you encounter any trouble using or correctly installing it on your laptop, leave a comment below and I’ll walk you through the process step by step. 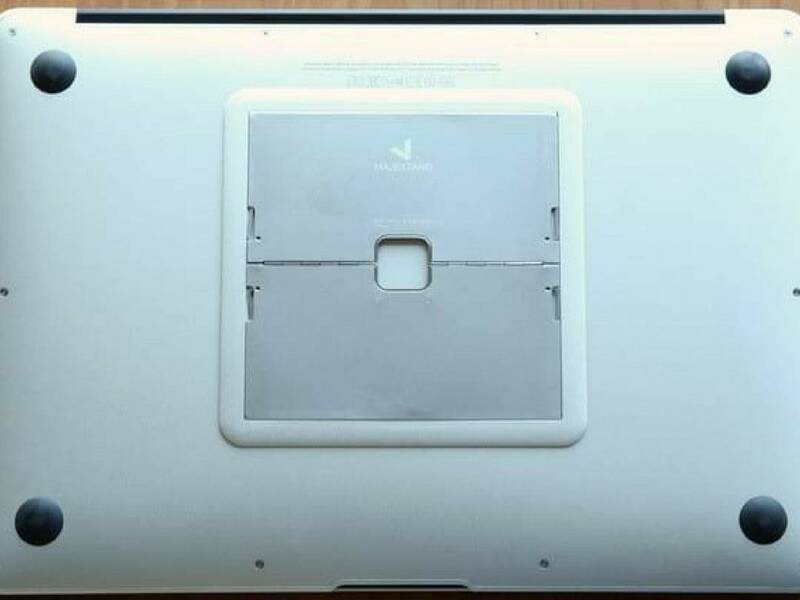 NOTE: Your laptop must have a clean, seamless bottom for the MAJEXTAND to stick on it properly and function well. Not everywhere, but at least on the contact points with the stand. 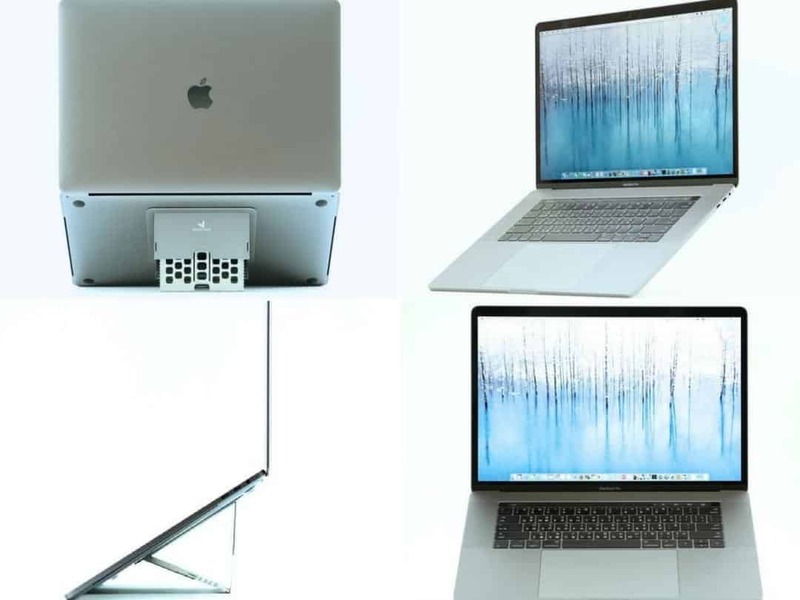 So confirm this with your laptop before rushing to buy this stand. As with every product with an adjustment feature, you get to see different locking mechanisms with each different product. MAJEXTAND uses a clever locking mechanism using 4 small ‘buttons’ that automatically expand and lock when you apply a small force in the direction to expand it. And if you wish to collapse it to select lower height levels or completely flat it out, all you have to do is to press these buttons gently and apply a small force in the opposite direction. My only concern here is that while this looks like a clever design, I’m not quite convinced how reliable it is because of how small these buttons are, and how accurately they have to operate to assure proper performance. How long can it last without crapping out? Will we have trouble with them in the future? Only time will tell. So far I had a very positive experience with this stand, but I’ll keep this review updated 100% in case I have new information regarding the performance of this feature. Using this stand is a bit different than any other laptop stand I know. You STICK it onto your laptop on the bottom and it stays there forever. When you’re ready to use your laptop, the stand is already attached to it so all you have to do is extend it and adjust your desired height. Once finished, you push the locking buttons to release them and collapse it in two seconds. Very easy, fast, and simple. It’s a bit tricky to adjust and change height levels WHILE working on the laptop. It’s doable but requires some effort and accuracy. So it is advisable that you do this process at the beginning before you open the laptop and start working on it. By default, laptops have limited ventilation. 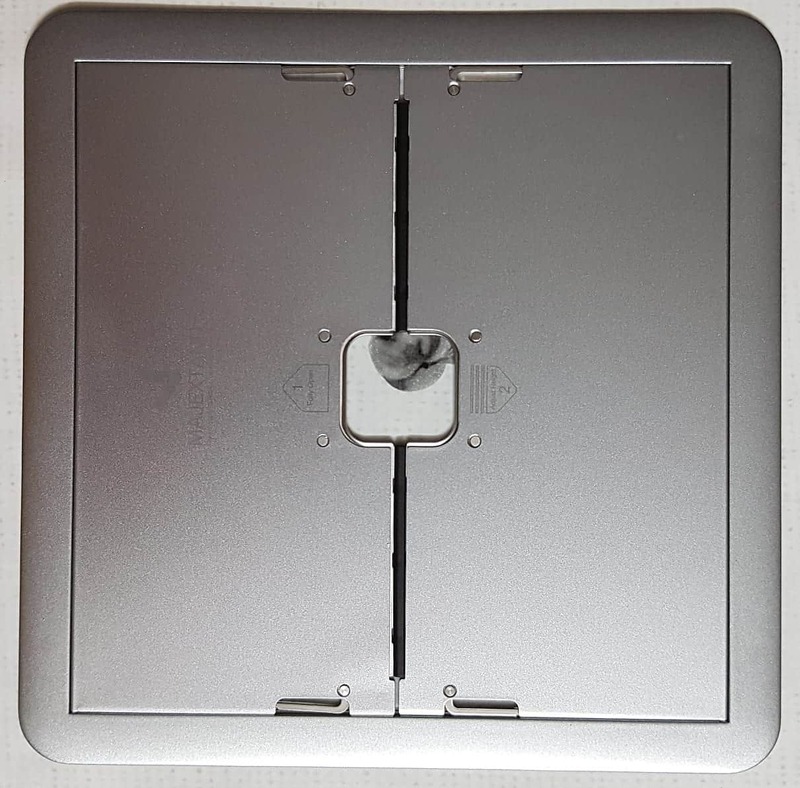 You put it on the desk, table, or on your lap, and you choke it basically and prevent the air from coming in and out of the laptop, since the only suitable place to make it vented is on the bottom case. With that said, most laptops today are ‘okay’ with the amount of ventilation they’re getting without any addons to them because simply the components are better nowadays, the technology has advanced, and overall the laptop as it is can suffer more heat AND heat less compared to older devices, under the same circumstances. But, having the ability to boost its air circulation in and out is still a big plus. You will extend the life of the product by months or even years (because component temperature is part of the component-life equation, I know this because this is my job), the device will put on less effort, lag less, and crash less often. 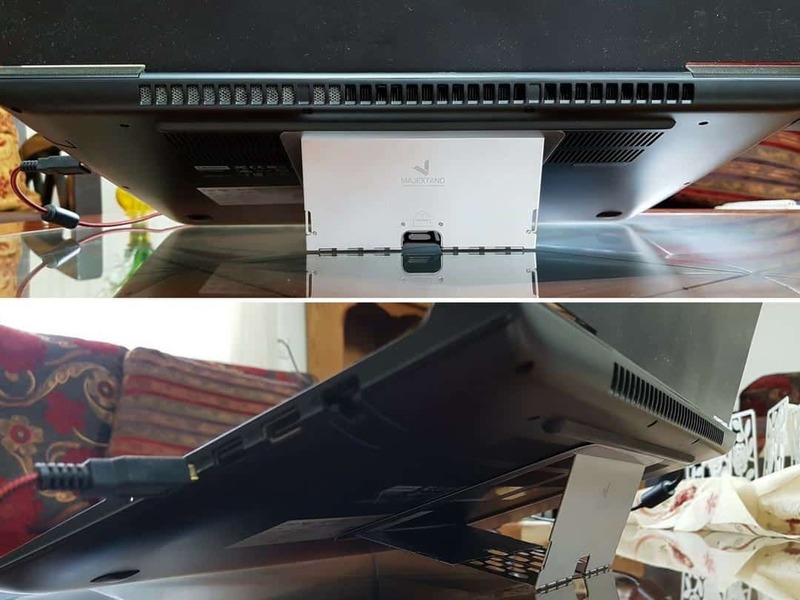 With the MAJEXTAND being so well vented and bumping the laptop off the table a few inches, your device will get all the ventilation it needs plus extra more. WithOUT sacrificing precious space on your desk, table, or wherever your work environment is. Overall, I was very happy and satisfied with the MAJEXTAND for the period I managed to use and test it. It’s surprisingly durable, stable, and very ergonomic actually with the 6 levels of height adjustment it’s packed with. It’s extremely lightweight, portable, and once you stick it on the bottom case of your laptop, it stays there and you can’t even feel its existence. There were a few concerns about the locking mechanism and usability, but all in all, nothing too alarming. 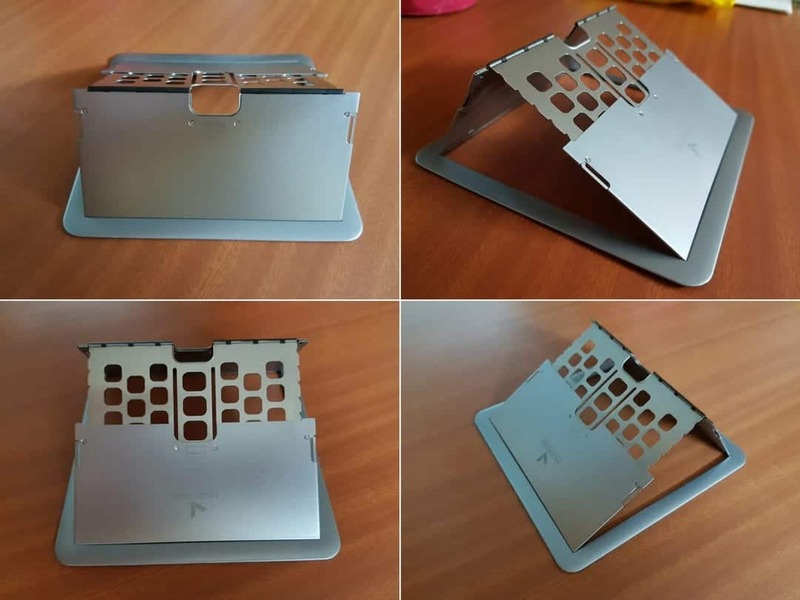 If you are someone who owns a laptop and searching for a simple, portable solution to make your laptop more ergonomic and comfortable, while still being able to save space and allow ventilation for your laptop for extended use, this could be a perfect option for you. Thank you for the great review! It really helped me understand that it really is. By the way, I’m wondering if you feel comfortable (or stable) when using the original keyboard on the laptop with it lifted by the stand.